As the industry moves toward integrated systems, the need for security design ahead of new technology implementation is critical for laying the foundation for a future-proof security system. Whether you’re looking for the latest technology in surveillance systems, CCTV security cameras, alarm systems or electronic access control, we supply security equipment based on a walk-through of your site and an assessment of your security needs. Our products below are designed to help you protect, manage and secure your site while giving you a record of all events taking place within and surrounding your building. All security equipment is backed by installation, integration and maintenance support. Monitoring the inside and outside of your facility through video surveillance is key for keeping building occupants safe. Having retrievable footage and accessing that data remotely on a mobile device ensures you remain connected to every camera angle at all times. With a range of options for any environment and optimal optical quality, our surveillance systems ensure premises are secured and assets are protected. Combine surveillance with access control and remote security management to increase coverage and visibility. Capturing the video you need takes advanced optical quality, remote pan-tilt-zoom controls, contrast distinction and the ability to capture activity in complete darkness. Plus, security cameras should be installed conspicuously to respect the ambiance of your environment without sacrificing coverage. 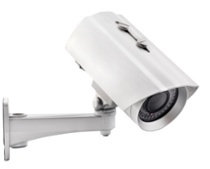 Our selection includes dome cameras, hi-resolution color cameras, hidden cameras, bullet cameras, infrared cameras, day/night cameras, weather-resistant cameras, vandal-resistant cameras and pan-tilt-zoom cameras. View, search, record and back up footage on location or remotely over the Internet or LAN with our Digital Video Recorders (DVR). All 32- and 64-channel DVR footage is saved to a hard drive, eliminating the need to store bulky tapes. Our Network Video Recorders (NVR) operate on your existing IT infrastructure to reduce costs with a high-powered, widely distributed video surveillance infrastructure. Electronic access control restricts entry and exit for a variety of locations inside your facility, including entrances, lobbies, storage closets, roof access areas and more. Specialty locks, from wireless and magnetic locks to biometrics, work through a centrally managed access card system that logs every entry and exit attempt, so there’s evidence of unauthorized intruders requesting to gain entry to restricted areas. 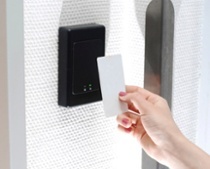 With our door-access control systems, the hassle of tracking metal keys and changing key cores is replaced with efficient, difficult-to-copy, magnetic radio frequency transmitting or intelligent key cards. These systems are capable of handling even the largest buildings with up to 64,000 cards being simultaneously deployed. 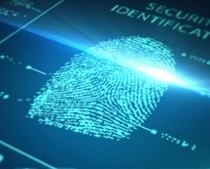 Guard against identity fraud with biometric authentication. Biometric security means measuring unique human characteristics, such as fingerprints and eye scans. These identifiers are used in conjunction with access control and photo ID systems to ensure identity validation and restrict building access to unauthorized visitors. Security alarms ensure unauthorized intruders don’t evade access control measures. Our alarm systems are connected to remote monitoring stations and remain fully integrated into intercom, access control and surveillance systems. This kind of security integration provides you with the benefits of automatically unlocking exit doors during fire alarms and permitting remote security guards to identify false alarms. Whenever an alarm is triggered, your team is able to quickly assess the situation by video anytime, anywhere. A reliable and effective entrance communication device is vital to protecting your building and its occupants. Audio and digital video intercom systems simplify screening visitors at any entrance before permitting access to the building. Intercoms also allow remote voice-down communication to authorized and unauthorized visitors for effective and quick response. 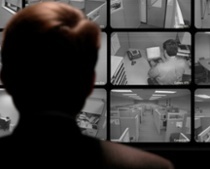 Cameras capture more information than a security team is able to proactively monitor. For facilities without the manpower to monitor cameras 24/7 or for those seeking increased reliability, our intelligent video monitoring employs advanced algorithms to monitor your video feeds in real-time for events such as “piggy backing,” unauthorized attempts to access restricted areas, property theft and other security breaches. Intelligent video monitoring even counts traffic entering and exiting your building. Easily manage personnel and guest access passes. A digital photo system creates images for employee and visitor badges while logging the information in the database. These systems can be indexed in smart cards and door-access control systems. Your technology is only as good as the cables and wiring infrastructure behind it. For sites with low voltage communication devices – including phones, printers, faxes and wireless access points for Internet – our tel/data installation crew begins with design. After installing the cabling, our team tests the integrity of the entire cabling network. Seasoned managers work with your building’s architectural and engineering plans to identify the most efficient and effective ways to build your telecom and data-cabling infrastructure. We deliver a fully tested and effective infrastructure on time and on budget. Our A/V automation makes your investment in audio, video, lighting and environmental systems more convenient and enjoyable. All automation systems integrate into security and surveillance equipment to maximize building safety. Connecting all of your systems to the Internet makes remote security management possible from anywhere at any time. Plus, enjoy the luxury of having a single vendor responsible for cabling and infrastructure work for security, tel/data and A/V systems. We not only sell computers, servers and computer peripherals, but we consult with you through selection for a fully customized and integrated security solution. Need help assessing our security product offerings against your current security needs and design requirements? Schedule a consultation with a security professional to get started.